The Hot Dog Truck: National Hot Dog Month is Coming! 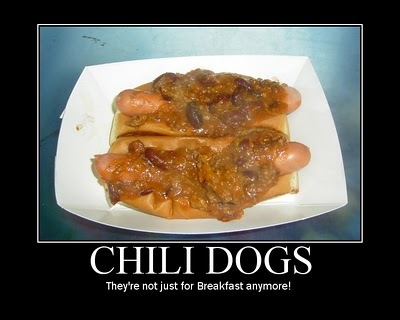 National Hot Dog Month is Coming! July is almost upon us, which means one thing: it's almost National Hot Dog Month. 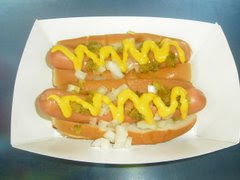 As in years past, each day I will feature a different hot dog joint every day in July. There are two cookouts on the docket- one on July 4 and one on July 20. Featured at the cookouts - you guessed it - HOT DOGS! This year's tour features all "new" hot dog joints. There are a couple of "old friends" that have new places, but there is not one repeat (other than Casey's on the 31st). This year's tour also features hot dog venues in 9 (possibly 10 if I can bomb down to NYC for a day) states: California, Florida, New Jersey, Massachusetts, Maine, New Hampshire, Rhode Island, Connecticut, and Vermont. There will be iconic establishments, hot dog trucks, hot dog carts, and just about any venue you can imagine. Videos of each featured stop on the tour will be published daily on Hot Dog Stories, so join in on the hot doggin' fun and HAPPY NATIONAL HOT DOG MONTH!